One of the first things that draws a consumer to a vehicle is how the exterior looks. That’s why it’s so important to manufacture exterior parts with an attractive look and feel. Whether it’s for rearview mirrors, door handles, or wheel covers, the requirements are for strong materials with high aesthetic value, and a smooth touch. This makes excellent UV stability absolutely critical. Our broad portfolio of materials has grades suited to a wide range of exterior applications – for both painted and unpainted parts. Glass fiber–reinforced Akulon polyamide 6 addresses all the needs of exterior parts, with UV-stabilized grades suitable for parts with complex shapes, including exterior mirror bases, and parts manufactured using gas-assist injection molding, such as door handles. For door handles, our specialized grades provide high UV stability when unpainted, and smoothness and excellent adhesion when painted. For exterior rearview mirrors, our materials combine aesthetics with high stiffness and strength for what is ultimately an important safety application. 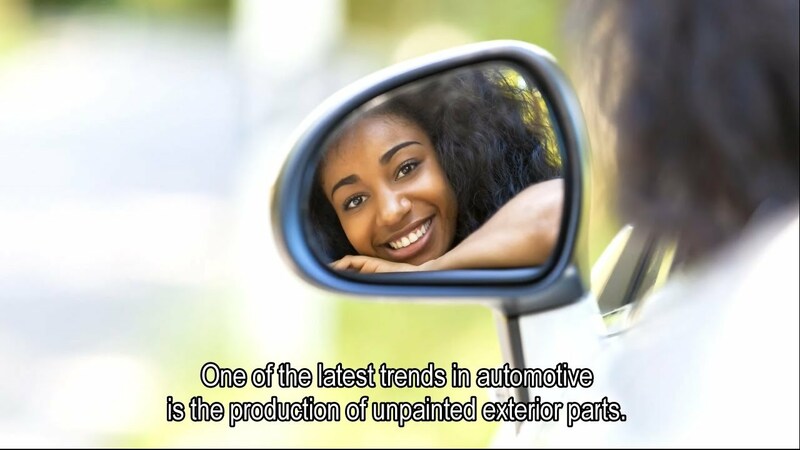 For automotive exterior applications, look and feel are both very important. DSM has proven its performance in this market with the right materials for years for e.g. mirror housing and door handles. Today we also offer a reinforced Akulon® polyamide 6 for unpainted exterior automotive parts that require very good surface quality. By eliminating the need to paint such exterior parts, DSM is making a major contribution to unit cost savings without compromising on quality.